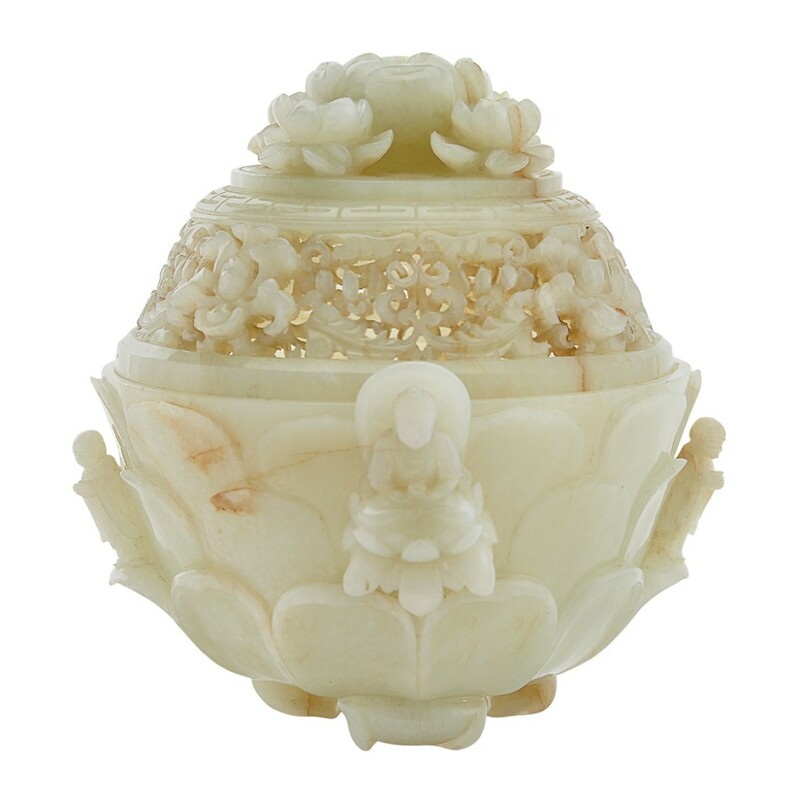 A 19th century white jade covered censer sold for $87,500 at an Asian Works of Art Auction held September 11th by Doyle New York in New York City. Also, a Chinese painting of morning glories by Qi Baishi (1864-1957) soared to $46,875; a 1959 painting by Chen Qikuan (Ch., 1921-2007), titled New Moon Over Hong Kong, brought $34,375; a 19th century Chinese Doucai porcelain ‘Birthday’ dish fetched $34,374; and a Qing dynasty white jade snuff bottle made $22,500. Prices include the buyer’s premium. 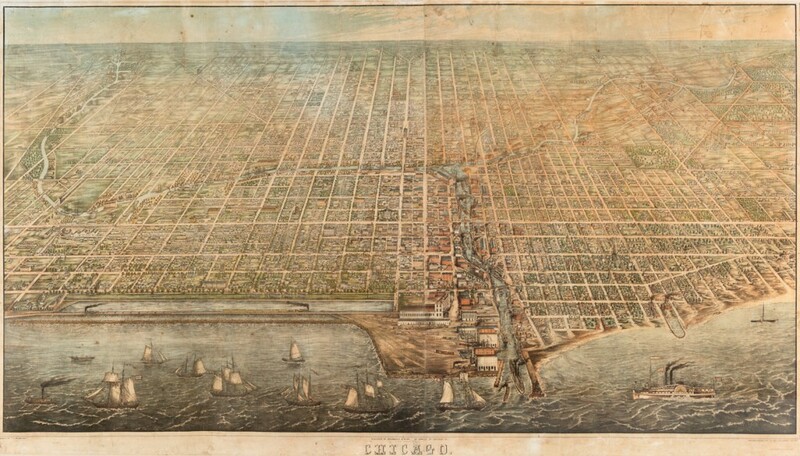 J. T. Palmatary’s rare birds-eye view of pre-fire Chicago, printed in 1857 by Braunhold & Sonne, one of only four copies known (the other three are held by the Library of Congress, the Newberry Library and the Chicago History Museum), sold for $198,600 at a Fine Books & Manuscripts Auction held September 13th by Leslie Hindman Auctioneers in Chicago, Ill. The buyer was a Chicago area private collector. Palmatary was known for his aerial views of cities. The price includes a 24 percent buyer’s premium. 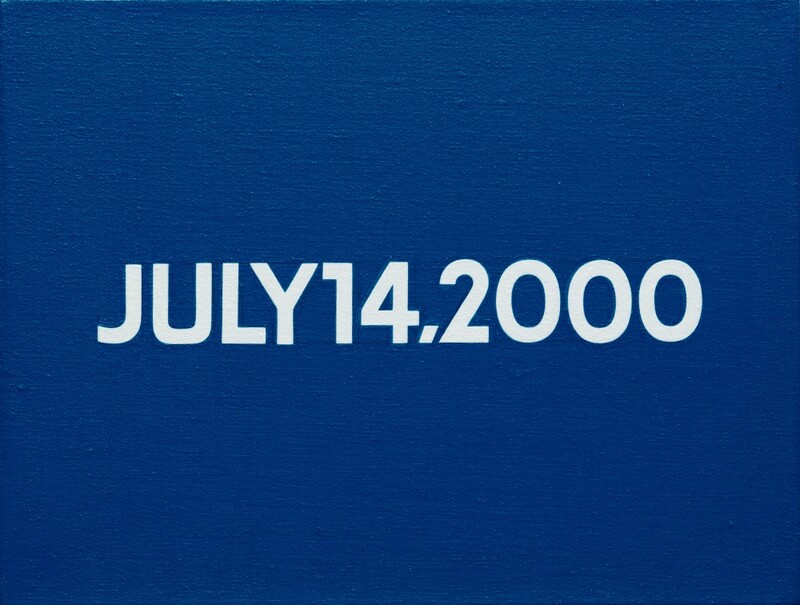 An artwork by On Kawara (Jap./Am., 1932-2014), titled Friday, July 14, 2000 (Today series no. 26), sold for $399,000 at an auction held September 19th by Phillips in New York City. Also, Mark Grotjahn’s 2007 untitled work (Black and Creamsicle) rose to $300,000; Tomoo Gokita’s 2008 work General Emotionality finished at $181,250; a 2000 untitled (BB2) work by KAWS brought $106250; and Nicole Eisenman’s Foos Ball Trilogy from 1994 changed hands for $175,000. Prices include the buyer’s premium. 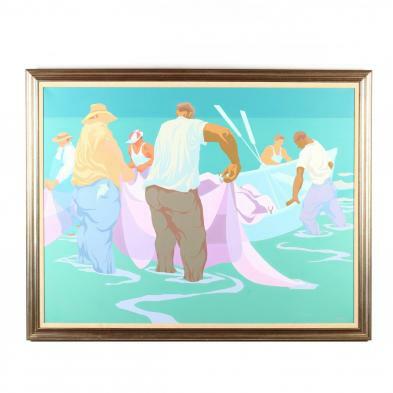 A painting by Claude Howell, titled Loading the Nets, depicting fishermen at work, sold for $49,000 at a Fall Quarterly Auction held September 16th by Leland Little Auctions in Hillsborough, N.C. Also, an oil on canvas by Francis Speight, titled Old Smoke-Houses, went for $35,000; an acrylic and acrylic gesso on canvas by Herb Jackson, titled Veronica’s Veil CLXIV, made $13,000; and a late classical walnut armoire by Caswell County craftsman Thomas Day hit $16,000. Prices are hammer, exclusive of the buyer’s premium. 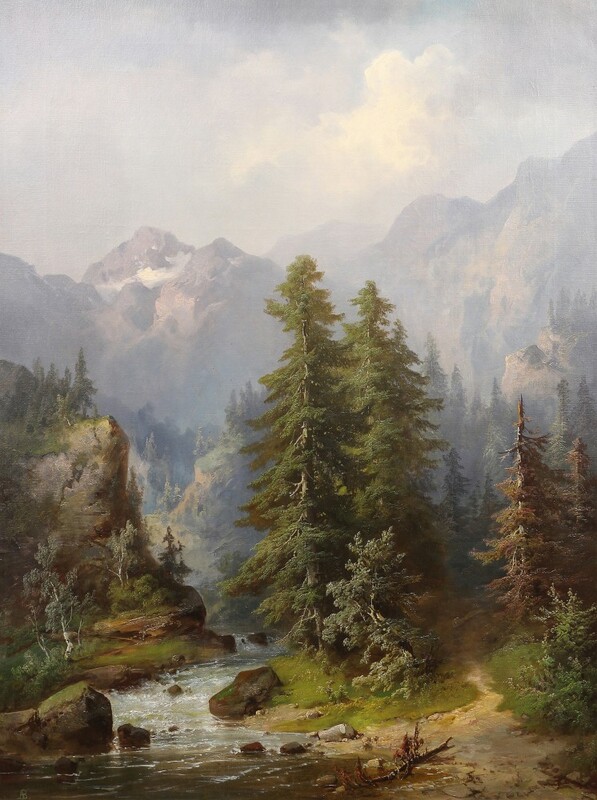 An oil on landscape painting by Albert Bierstadt (Am., 1830-1902), titled Passing Clouds Over Mountains, sold for $102,850 at an auction held Sept. 16-17 by Clars Auction Gallery in Oakland, Calif. Also, a Continental micro mosaic plaque, circa 1790-1800, attributed to G. Raffelli and depicting an exotic fish, gaveled for $21,780; a bronze Chinese censer, rectangular in shape, climbed to $11,340; and a stunning sapphire, diamond and platinum ring topped out at $5,670. Prices include the buyer’s premium.